Nobody wants to have an unpleasant holiday but unfortunately, there are people who do not organize very well their vacation and therefore do not enjoy to the fullest their time spent in a certain location. In order to not deal with this sort of situation, you should have a look at this article as we are going to show you the best places to see and things to do in Turkey if this is your next destination. You cannot go to Turkey without visiting the beautiful Istanbul. The city is among the best ones in the whole world. It has so many attractions and amazing locations that you will surely need at least two vacations here. The Turkish cuisine is also something that you need to try, as it is a lovely one. Don’t forget about the sweets which taste heavenly. The Grand Bazaar is recognized all over the world as a place with more than a thousand of shops selling all sort of things. The nightlife is a vibrant one because locals love going out. Plenty of restaurants, bars, and nightclubs are waiting for you to have fun, socialize, and dance until morning. The mighty ruin of Ephesus is a must-see attraction in this country. It is actually a city of colossal monuments and several marble-columned roads. Here you will experience how life was during the golden age of the Roman Empire. In order to cover all the major highlights here, you need at least half a day. Therefore, in case you want to explore everything that this location has to offer, make sure you are not in a hurry. Many professional photographers come to this place just to take some amazing shots because the views are without a doubt amazing. In order to experience this region differently, we recommend you to go for a hot air balloon ride. 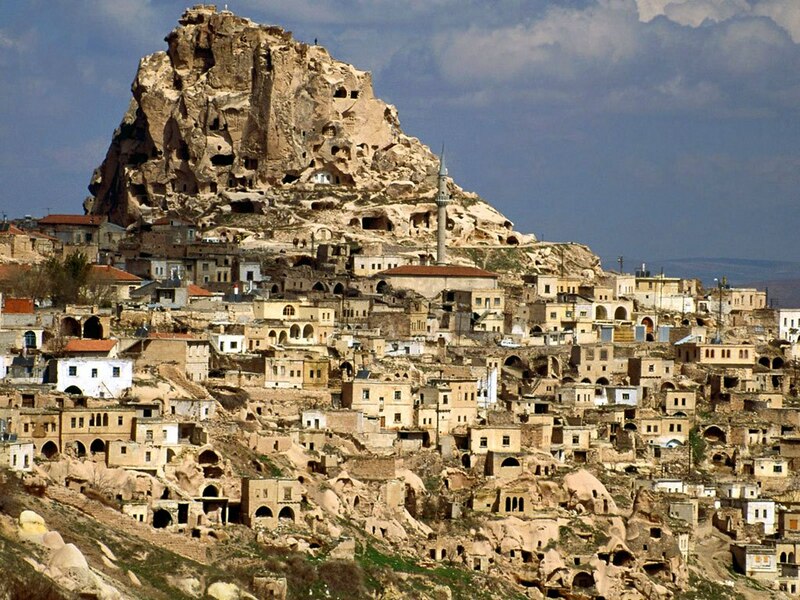 By doing so, you will remain with amazing memories and you will see Cappadocia in all her splendor. This natural wonder is extremely famous in Turkey. The travertine terraces of Pamukkale which are completely white look magically. In order to take some amazing photographs, you should visit this location at dusk, as that’s the time when travertines beautifully glow due to the fact that the sun sinks below the horizon. This is without a doubt a very relaxing activity that you must go for if visiting Turkey. Take the whole family with you and enjoy every moment spent on the water. Bodrum is one of the most popular places in Turkey, where many visitors rent a yacht or choose one of the many cruises especially organized for tourists. We recommend you the ‘’Blue Cruise’’, which involves traveling from Fethiye south down the coast to Olympus which is home to the natural phenomenon of Chimaera. You will absolutely enjoy this trip, not to mention the fact that you will highly relax and reduce stress and negative thoughts. Prev Is Renting a Car in Istanbul Better than Other Types of Transport?